 2017 The 2017 MOJA Festival was a vibrant celebration with eleven days of programming. Theatre offerings included the award-winning drama Fences by renowned playwright August Wilson, produced by Art Forms & Theatre Concepts, When I First Remember from Lady in White Productions, and Sugar in the Grits, the compelling self-discovery story of a young trans-woman who finds strength and resilience in her Gullah Geechee heritage. Ronald K. Brown/EVIDENCE, A Dance Company was in residence for three days with workshops in public schools and a public workshop and performance at Gadsden’s Wharf, on the future site of the International African American Museum. Musical performances included Ellington’s Sacred Concerts at the Charleston Gaillard Center with Charlton Singleton, Nathan L. Nelson, and Lowcountry Voices and Friends. The Charleston Music Hall played host to Higher Ground: The Music of Stevie Wonder and Woman & Cooke: A Tribute to Sam Cooke. Visual Arts exhibitions at City Gallery included the Annual Juried Art Show, Libation, and Dance of the Ancestors, Egungun Masquerade. The 2017 MOJA Festival also forged partnerships with the inaugural Free Verse Festival and the NEA Big Read to present an incredible lineup of literary events. The Festival closed in triumphant style with a free-outdoor finale concert at Hampton Park featuring Toby Foyeh and Orchestra Africa and Super Deluxe and a homecoming concert at the Dock Street Theatre from Charleston favorite, Ranky Tanky. The poster art is Sankofa/23 million miles No. 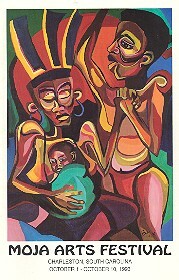 2 by artist Cedric Umoja. 2016 During the 2016 MOJA Festival, Hurricane Matthew and mandatory weather-related evacuations interrupted some of the scheduled programming. Highlighting the music series, Charlton Singleton and Friends performed Pop Life! Celebrating the Music of Prince at Charleston Music Hall. While some performances were rescheduled, our theatre offerings included Art Forms and Theatre Concepts, Inc. premiering Stick Fly, a wickedly funny, award-winning drama, at the Dock Street Theatre, When I First Remember, from Lady in White Productions, and Carlie Towne Productions performs Gullah/Geechee Knows Emanuel: A Gullah/Geechee Story, as well as Charleston Black Theatre with their Charleston premiere of Harriet’s Return, a one woman show celebrating the life of Harriet Tubman, starring Karen Jones Meadows. Rescheduled in February, 2017, the festival returned to the newly renovated Gaillard, co-presenting with the Charleston Gaillard Center Dance Theatre of Harlem. The weather was no match for the spirit of MOJA, and the MOJA Finale closed out the festival with a community celebration in Hampton Park featuring music from Curtis Inabinett and Ah Touch of Class, New Galaxy Band and Charlton Singleton and friends. The poster art is by Fletcher Williams III. 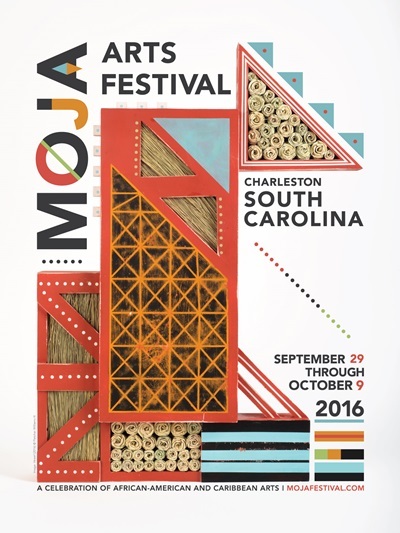 2015 MOJA Arts Festival highlights included: During the 2015 MOJA Festival, Hurricane Joaquin brought historic rainfall and flooding to the Charleston area, disrupting some of the planned programming. Oscar Rivers and Max Moore Quintet and The First Class Band performed in lieu of Patti Austin’s scheduled appearance, in An Evening of Jazz Under the Stars at the Cistern at the College of Charleston; The Lucas Sisters performed at Gospel Sounds of the Lowcountry at Trinity United Methodist Church; Carlie Towne Productions presented Gullah/Geechee Conversation: Dis Ya Da Fruit Ob Da Spirit Restaurant Play for the Theatre Series; Annual outdoor events included the Reggae Block Party at Brittlebank Park and Heritage Day in Marion Square; and the 2015 MOJA Poster featured a wrought iron heart hand forged at Philip Simmons’ workshop. 2013 MOJA Arts Festival highlights included: Marion Meadows in An Evening of Jazz Under the Stars at Family Circle Stadium; Novelist, Tina McElroy Ansa reading excerpts from The Hand I Fan With, Ugly Ways, and You Know Better for the Literary Corner; Dayton Contemporary Dance Company performing at the Rose Maree Myers Theatre on the CCSD School of the Arts campus; Carlie Towne Productions presenting De Beat Gwine On From Africa Ta Da Gullah/Geechee Nation for the Theatre Series; The MOJA Gospel Concert: “Gospel Divas” with Javetta Campbell, Gwendolyn Rogers, and Gerney Glover-Perry; Tiffany Rice, Seth Gilliard and Friends performing an evening of classical music for MOJA’s Classical Encounter; and Visual Arts including the Charles DeSaussure Memorial Exhibition: Through My Eyes, and a Juried Art Exhibition. 2010 MOJA Arts Festival highlights included: Jonathan Butler, performing in An Evening of Jazz Under the Stars with Jonathan Butler at a new venue, Porter Gaud School Stadium; Kwame Alexander read excerpts from his latest works for the Literary Corner; The Cleo Parker Robinson Dance Ensemble from Denver, Colorado performed in the MOJA Dance Gala; Carlie Towne Productions presented De Diary Frum De Neck Gullah/Geechee Matriarch; Jean German Ortiz presented Sister Mariah, The Nosey, Noisy Christian; The Gospel Concert presented A Gospel Explosion featuring music by the Royal Baptist Church Male Choir, St. James Presbyterian Church Male Choir and vocal soloist, Minister Mario Desaussure; Classical Encounter presented An Elegant Evening of Porgy and Bess at the Historic Dock Street Theatre hosted by Dr. Wilfred Delphin; and the featured R&B Concert Artists at the Family Circle Tennis Center were Patti LaBelle and Boyz II Men; MOJA Poster Artist for 2010 was Doyle William Cloyd. 2009 MOJA Arts Festival highlights included: National recording artist, Lalah Hathaway, performed in An Evening of Jazz Under the Stars With Lalah Hathaway at The Cistern on the campus of the College of Charleston; Savannah Frierson read excerpt from her new work Being Plumville for the MOJA Literary Corner; Ballethnic Dance Company from Atlanta, Georgia performed in the MOJA Dance Gala; Art Forms & Theatre Concepts produced One Monkey Don’t Stop No Show for the Theatre Series; the Gospel Concert included such names as Lynn-Marie Boon, Joy Pryor, Gwendolyn Rodgers, Rev. Randolph Miller, Anthony Burke, Mario Desassure, Javetta Campbell, and Minister Herbert Beard; Kenneth Law and Stephen Buck performed works by Faure, Piazzolla, and Rubinstein for MOJA’s Classical Encounter; and the featured R&B Concert Artist at the Family Circle Tennis Centre was The O’Jays. 2007 MOJA Arts Festival highlights included: National recording artist, Najee, performed in An Evening of Jazz Under the Stars With Najee at The Cistern on the campus of the College of Charleston; John Street Jazz presented Ann Caldwell in concert; Pearl Cleage was guest artist for the Literary Corner; Genesis Dance Company of New York performed in the MOJA Dance Gala; Art Forms & Theatre Concepts produced Tambourines to Glory for the Theatre Series; Chamber Music Charleston presented A Circle Unbroken as the Classical Encounter; and the featured R&B Concert Artist at the Family Circle Tennis Centre was Frankie Beverly and Maze. 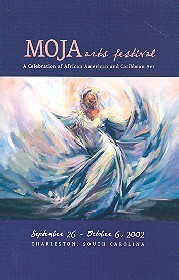 2006 MOJA Arts Festival highlights included: Grammy nominated artist, Nneena Freelon in a concert under the stars; a Gospel Concert featuring The Men of Gospel Anthony E. Burke, Mario Desaussure, Johnifer Q. Fashion and Rev. Randolph Miller; Art Forms & Theatre Concepts production of “Langston Hughes Little Ham”, book by Dan Owens, music by Judd Woldin, lyrics by Richard Engquist and Judd Woldin; author M. Dion Thompson, Walk Like A Natural Man, in the Literary Corner; Forces of Nature Dance Theatre Company presents Eclipse: Visions of the Cresent and the Cross; and Jeffrey Osborne and KEM performed at the Family Circle Tennis Center. 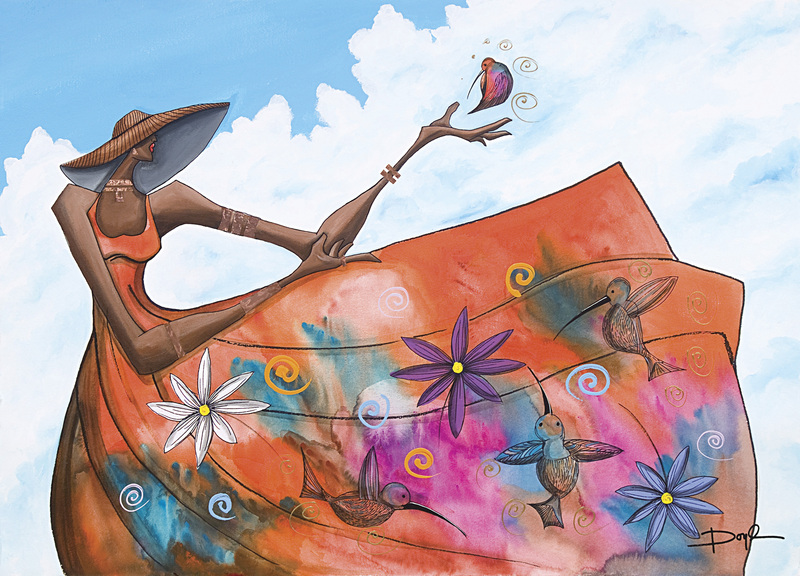 The Visual Arts lineup for 2006 features works by the MOJA Poster Artist, Doyle Cloyd; a Juried Art Exhibition; and the featured exhibit, Forging Spirits, on display at City Gallery. 2005 MOJA Arts Festival highlights included: International R&B recording artists, The O’JAYS, performed live, on-stage at the Joseph P. Riley, Jr. Ballpark; Wayman Tisdale, jazz guitarist presented a beautiful evening Jazz concert under the stars at the College of Charleston Cistern; Cleo Parker Robinson Dance Company from Denver, Colorado danced before an audience of over 2,500 including art students, their teachers, and mentors in MOJA’s Dance Gala at the Gaillard Auditorium; Tom Joyner Morning Show broadcast live from the MOJA Arts Festival, to raise scholarship dollars for Claflin University; The Capitol City Chorale and Ebone performed in the MOJA Gospel Fest; Art Forms & Theatre Concepts presented the smash hit Bubbling Brown Sugar at the historic Dock Street Theatre; and the traditional favorites returned like the Reggae Block Dance, Heritage Day and of course the Finale. 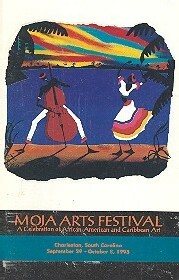 2004 MOJA Arts Festival highlights included: international R&B recording artists, Maze featuring Frankie Beverly live on-stage at the Joseph P. Riley, Jr. Ballpark; An Evening of Jazz Under The Stars featuring jazz saxophonist, Kirk Whalum in concert at the Cistern on the beautiful campus of the College of Charleston; Dallas Black Dance Theatre from Dallas, TX in MOJA’ s Dance Gala at the Charleston Music Hall; Requiem, multi-dimensional, multi-genre collaboration that celebrates the resilience of those people who suffered the brutal mercantilistic trade called the Middle Passage–poetry by Ghanaian, Kwame Dawes, music by John Carpenter, artwork by the late Tom Feelings; Charleston’s premiere African-American theatre company, Art Forms and Theatre Concepts’ original stage play, “I Sing From My Soul” at the historic Dock Street Theatre; Charleston Symphony Orchestra and The Chamber Music Society of Charleston in two separate concerts; and the traditional favorites like the Reggae Block Dance featuring the African, African-American vendors marketplace, Gospel Fest, Heritage Day, Educational Outreach programs and of course the Finale returned with a brilliant fireworks display to end the festivities. 2003 International R&B recording artist, Gerald Levert performed live at the Joseph P. Riley, Jr. Ballpark, and jazz vocalist, Angela Bofill performed under the stars at the College of Charleston Cistern. Ballethnic Dance Company from Atlanta, GA performed in MOJA’s dance gala at the Gaillard Auditorium. Ilyssah Shabazz, daughter of Malcolm X, and noted author participated in the MOJA Literary Series and shared excerpts from her recent book “Growing Up X”. Art Forms and Theatre Concepts returned to the MOJA stage to bring audiences the rousing broadway hit “Don’t Bother Me, I Can’t Cope.” The Charleston Symphony Orchestra along with Metropolitan Opera Star, Morris Robinson, delighted audiences at the Joseph P. Riley, Jr. Ballpark. MOJA traditions like the Reggae Block Dance, Heritage Day, Educational Outreach, and the Finale continued to be favorites at the two week festival. 2002 International R&B recording artists, The O’JAYS, performed live, on-stage at the Joseph P. Riley, Jr. Ballpark; Wayman Tisdale, jazz guitarist presented a beautiful evening Jazz concert under the stars at the College of Charleston Cistern; Cleo Parker Robinson Dance Company from Denver, Colorado danced before an audience of over 2,500 including art students, their teachers, and mentors in MOJA’s Dance Gala at the Gaillard Auditorium; Tom Joyner Morning Show broadcast live from the MOJA Arts Festival, to raise scholarship dollars for Claflin University; The Capitol City Chorale and Ebone performed in the MOJA Gospel Fest; Art Forms & Theatre Concepts presented the smash hit Bubbling Brown Sugar at the historic Dock Street Theatre; and the traditional favorites returned like the Reggae Block Dance, Heritage Day and of course the Finale. 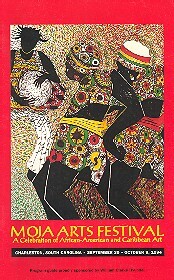 2001 “Black Fire Flies, Carnival” by Paul Goodnight graced the cover of the MOJA Arts Festival program guides, posters and t-shirts. R&B recording artist, Stephanie Mills, delighted audiences with her blend of R&B on-stage at the Joseph P. Riley, Jr. Ballpark; Kirk Whalum melted the microphone in a beautiful evening Jazz concert under the stars at the College of Charleston Cistern; 15-year old cello prodigy, Samuel Johnson performed in concert with the Charleston Symphony Orchestra for MOJA’s Classical Encounter; the Midnight Reggae Band offered up an eclectic blend of reggae favorites with 15,000 of our friends and neighbors behind the U.S. Custom House at the Reggae Block Dance; Rebecca Walker, author of Black, White & Jewish delivered a moving message about her struggles growing up with a diverse family in The Literary Corner; Mayor Joseph P. Riley, Jr. presented a paper on Education in the Lowcountry as part of the YWCA Business & Professional Breakfast Issue Paper Series. 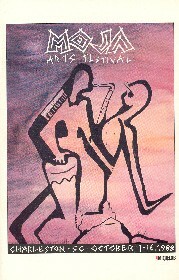 2000 Lavarne Ross’ Dancers was one of the festivals most popular poster images. 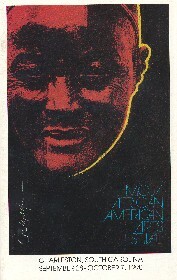 The Theatre Series presented the Broadway hit Ain’t Misbehavin. R&B recording artists Ashford and Simpson played to thousands of fans in their live concert at the Joseph P. Riley, Jr. Ballpark. Soulful Jazz crooner, Will Downing, performed to a sold-out crowd at the Cistern. 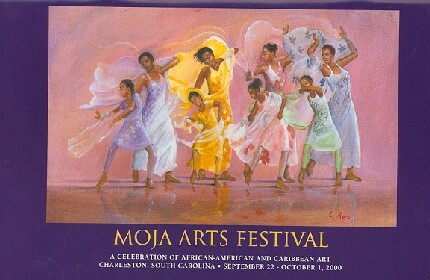 1999 Celebrating its Caribbean roots, MOJA, the Carolina Caribbean Association, and the Charleston Garden Festival hosted a delegation of 300 artists, performers and government officials from the island of Barbados who shared their breathtaking artistry with MOJA’s audiences in a rich and exciting cultural exchange. 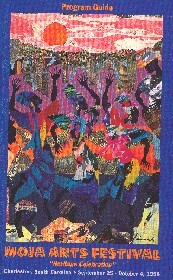 Internationally renowned artist and entrepreneur Charles A. Bibbs created the 1999 festival poster image. Performances by Gerald Albright and Jeffrey Osborne were two of the main highlights of the festival. The Dance Gala and Classical Encounters combined to present Quentin Baxter and Friends with the Dallas Black Dance Theater. 1998 The Tom Joyner Morning Show Live at the Gaillard Municipal Auditorium opened MOJA’s 15th annual season with national stars that included Blue Note/ Capital Records artist Rachelle Ferrell, Windham Hill Group artist Phil Perry, and Mercury Recording jazz artist Will Downing. Opera Singers Jeanne Brown and Sam Hagen from Atlanta were the featured artists in Classical Encounters. The 2nd Annual Black Inventions Museum provided educational outreach to Lowcountry students. 1996 Harleston-Boags Funeral Home and the Home of Septima Poinsette Clark were designated as Historic Sites in a special dedication ceremony. New York singer, dancer, and actress Andréa Black performed Mon Pays et Paris, a one-woman play and tribute to Josephine Baker. The Theatre Series highlight was the Gullah play, Hush Dat Gullah produced by Art Forms and Theatre Concepts. The Dance Gala showcased a double-header of I Am! Productions and Ballethnic. Columbian Recording artist Nnenna Freelon was presented in “An Evening of Jazz” concert. The Palmetto Invitational Marching Band Contest had special appearances by the Florida A&M University Marching Band and the South Carolina State Marching Band. 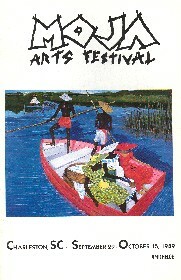 1995 Acclaimed artist Leroy Campbell was the creator for the festival’s poster. Internationally renowned recording artist Dr. Billy Taylor (music correspondent for CBS’ Sunday Morning) and his Jazz Trio performed at the Cistern, College of Charleston. The MOJA Gospel Choir and the MOJA Youth/Young Adult Choir joined to present Jubilante, “a celebration of music”. 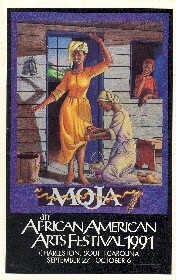 A new African-American Theatre Company founded by playwright, actor and director Arthur Gilliard is inaugurated by the MOJA Arts Festival organization, Art Forms and Theatre Concepts, Inc.
1994 Internationally acclaimed Rhythm & Blues recording artists The O’Jays performed along with Jerry Butler and His Orchestra. Charleston native, soprano Annette Spann, joined by pianist Wilfred Delphin performed in the Classical Encounters Series. The pre-concert lecture was given by Edwin Romain and Wildred Delphin. In addition, African Master Drummer from Ghana, Obo Addy, joined the Charleston Symphony String Quartet in performing an original composition in a concert at the Dock Street Theatre. 1993 The first annual MOJA Community Tribute Luncheon was held to honor civic leaders: Marjorie Amos-Frazier, Ruby P. Cornwell, St. Julian Devine, Eugene Hunt, Hilda Hutchinson-Jefferson, Gwendolyn Todd-Jones, and Dorothy Brunson Wright. 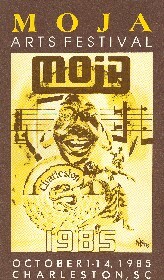 1992 MOJA’s Jazz Tribute saluted South Carolina natives George Kinney, Melvin Hodges, Dr. Eugene Hunt, and Rev. Fletcher Linton who each made significant contributions to music throughout the state of S.C. The Poetry and Storytelling Series featured three highly respected artists: Anita Timbers, Anthony Thompson, and Rosetta Gethers. 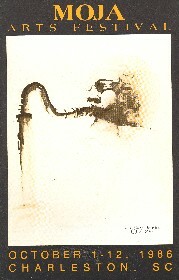 1991 Nigerian Printmaker Bruce Onobrakpeya exhibited his works of etchings and paintings in the “Shelian Masquerades”. The Heritage Day Celebration recognized African/Caribbean culture worldwide with music, fine arts and crafts, and demonstrations. 1990 MOJA Dance Series presented “The Crew” featuring dancers from the Dance Theatre of Harlem under the direction of Artistic Director and Choreographer Walter Rutledge. Piano duo Wilfred Delphin and Edwin Romain performed as part of the Classical Encounters Series. 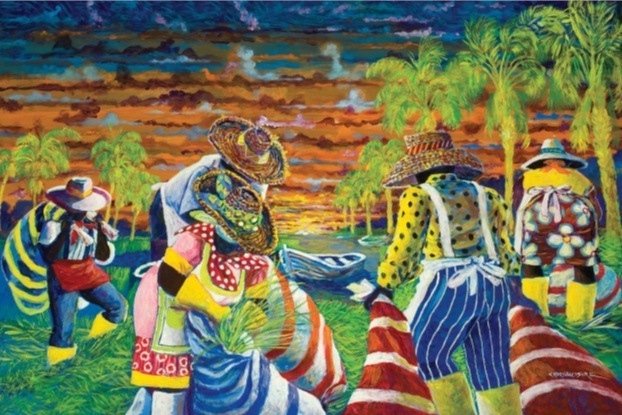 1989 Gullah artist Jonathan Green was the creator of the festival poster but due to Hurricane Hugo, the festival was only held for one day. Posters are still available. 1988 Renowned pianist Dr. Raymond Jackson performed as part of the Classical Encounters Series. The Festival of Churches Series appeared for the first time at MOJA and featured local church choirs in their home churches. 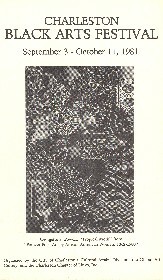 1986 The introduction of the Literary Series to MOJA’s festival format brought internationally renowned poet and playwright Amiri Baraka who performed a reading from his works. The Film Series featured a special presentation of Lorraine Hansberry’s A Raisin in the Sun. 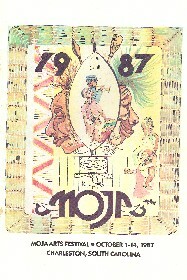 1985 The MOJA Festival continued its celebration of the arts, traditions, and heritage of African and Caribbean cultures with a special emphasis on American black history. The Theatre Series featured Sty of the Blind Pig, Livin’ Fat and the 50th Anniversary of Gershwin’s Porgy and Bess. 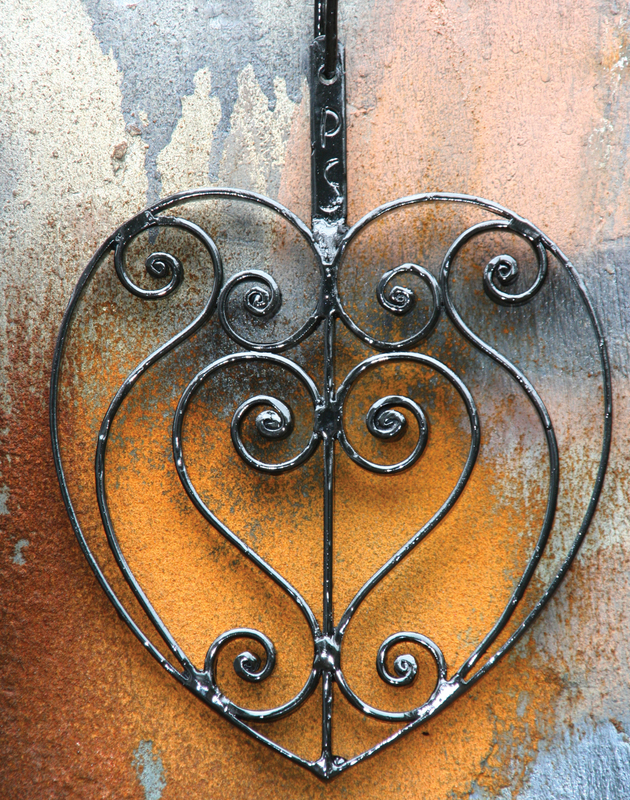 Charleston Black Arts Festivals. 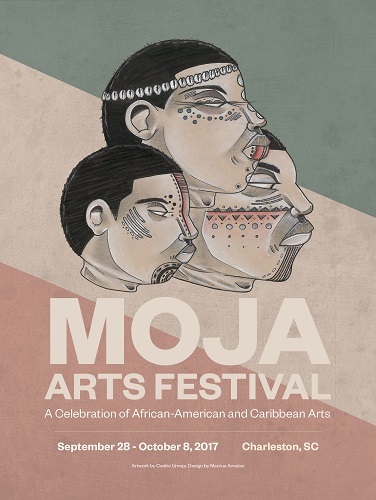 The festival was renamed “MOJA,” a Swahili word meaning “One” to illustrate its theme of creating and promoting harmony amongst all people in our community and is designed to highlight the many African-American and Caribbean contributions to western and world cultures. MOJA’s wide range of events included visual arts, classical music, theatre, poetry, storytelling, dance, jazz, gospel, R&B, children’s activities, traditional crafts and ethnic food. 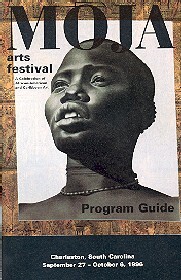 1983 Charleston’s third Black Arts Festival was produced in February, celebrating Black History Month. “Works by Black craftspersons” included exhibits by local blacksmith Philip Simmons and Gullah basketweaver, Mary Bennett. “When the Spirit Says Sing,” a song-play written by Robert W. Larkin was produced, starring Don Oliver. Progressive jazz-fusion artists from Brooklyn, NY brought their unique musical presentation “Force Three” to Charleston. 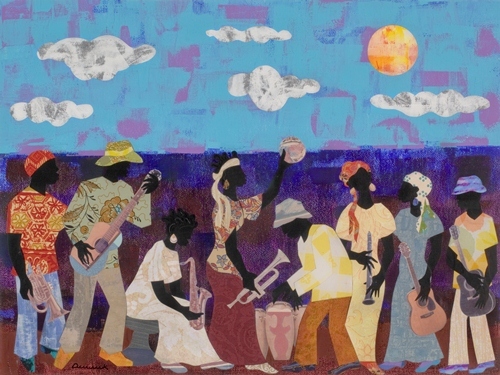 1981 Charleston’s second biennial Black Arts Festival featured a concert of music from Porgy and Bess performed by the Charleston Symphony Orchestra, Lucien De Groote, Conductor, with chorus and soloists. The Lincoln Portrait by Aaron Copland featured Mayor Joseph P. Riley, Jr. as Narrator. Ramsey Lewis, Pieces of a Dream presented a gala jazz concert at the Gaillard Auditorium and led an educational workshop at the College of Charleston. 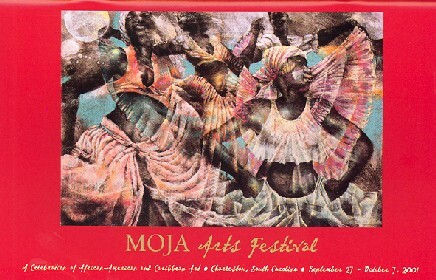 1979 Forerunners of the MOJA Arts Festival were the biennial Charleston Black Arts Festivals established in 1979 by the City of Charleston Office of Cultural Affairs, the Gibbes Museum of Art, and the Charleston Chapter of the LINKS. 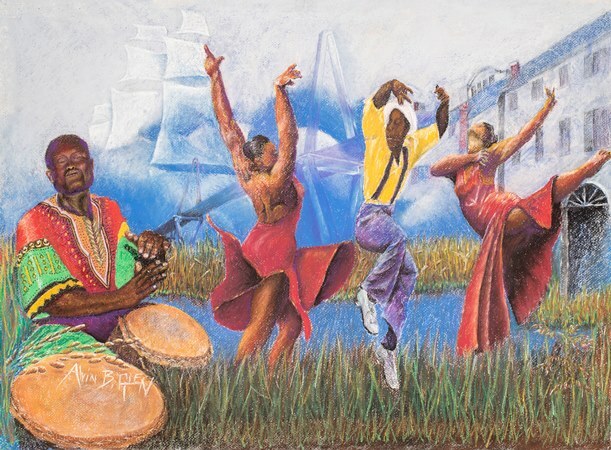 The first Charleston Black Arts Festival began as a comprehensive celebration of Black Artists and performers from the Lowcountry’s contemporary arts scene. 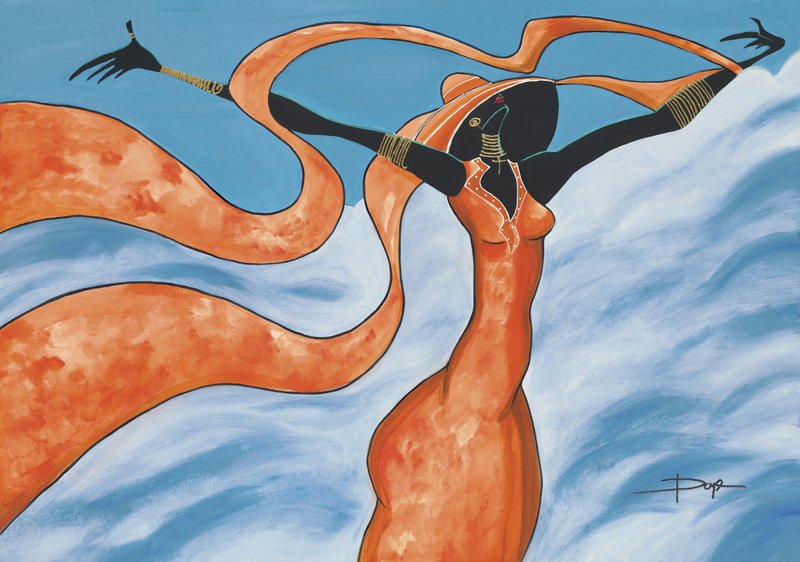 Combining outstanding examples from all the arts disciplines with a major representative exhibition of Black artists from the Southeast region as a backdrop, the festival effectively communicated the significant contributions of the African-American heritage to the cultural life of the region and of the nation. 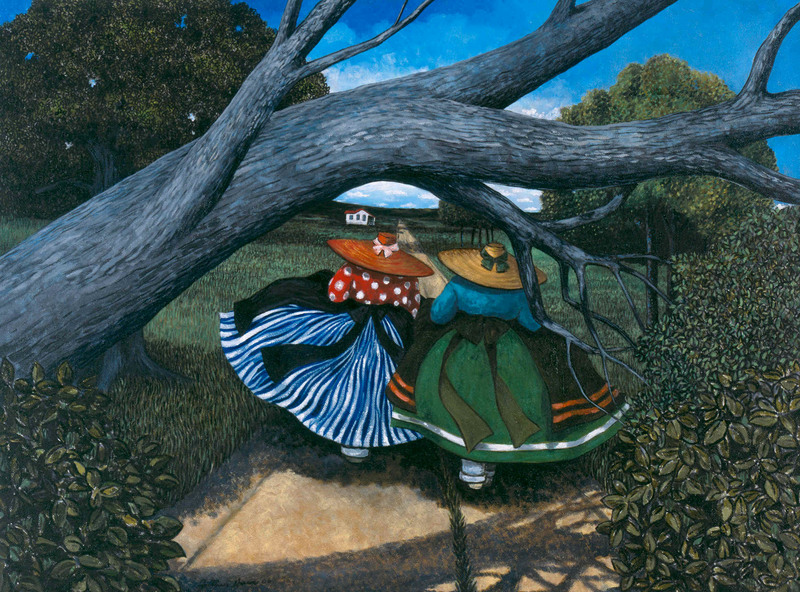 Highlights of this first festival included a duo-piano concert by Wilfred Delphin and Edwin Romain and a major visual arts exhibition at the Gibbes Museum of Art entitled Reflections of a Southern Heritage: 20th Century Black Artists of the Southeast.